In this digital era of business world application of mathematics become very essential for the survival. It helps to create comparative advantage among competitor. By applying mathematics in business, the owner of the business get help for making the present and the future planning. Sometimes it helps them to take initiatives against facing loss. Mathematics applications in business also help to calculate the future profit / income easily. 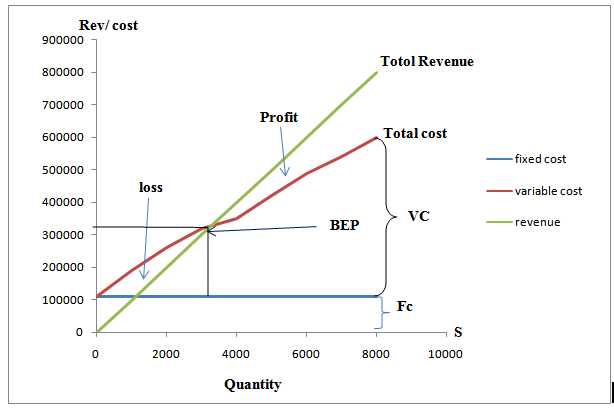 Using formula / functions of the mathematics in business, they can save their time, to calculate depreciation, interest amount, breakeven point and many things. Firstly we describe a case of Mr. Islam who was very insolvent and not well-educated. But by his gaining knowledge and experience he started his business and day by day facing many problems. As he did not know the applications of mathematics and could not find out the problems and its solution, he called us up to help him as a financial analyst. And by this we helped him to do the future planning of his business here the application of the mathematics in his business helps him to take any kind of decision. He also gets the overall view of the future year. The main objective of the study is the evaluation of the application of the mathematics in business with the help of a case study. To get practical knowledge of applications of mathematic. To broaden our outlook regarding the mathematical term we have learnt earlier. To have the idea of difference terms and application of mathematics in different organizations. To have the practical knowledge of theoretical knowledge of application of mathematics. Here we had an opportunity to work like the financial analyst. This case has given us an overall view how one will face problem when he / she is uneducated or not well educated about the application of mathematics in business. The methodology of the report is inductive. The report is based on mathematical terms and applications in business. And we use Logarithm, Arithmetical Progression (AP) and Break-even Point in our report. In spite of having the wholehearted effort, there were some limitations, which acted as a barrier to conduct the program and for doing an empirical research work. The limitation is to create the case, analysis of case and to apply the mathematics which is a quiet critical work. Mr. Islam is a book shop owner. He is running the book shop “Islamia Book House” in Nilkhet. But 15 year ago his financial condition was not like that is now. He was not highly educated. He studied up to class 10. His family was not so solvent. So he wanted to support his family financially. In search of better income and life he came to Dhaka in 1997. He took a job of salesman in a famous book company “Annya Prakash” of Bangla Bazar at a low salary. He worked there for 3 years. He learnt the term and norms of the book shop business. In 2000, his father died and he fell in a deep trouble. He fell into a financial crisis. At that time one of his friends suggested him to start a business with his gained knowledge on a book shop business. So he made up his mind to form his own business. To collect his fund, he came back to his village and sold almost of his properties. He got almost Tk. 300000 from that and managed some from his friends. Coming back to Dhaka he rented a space in Nilkhet Book Market for Tk. 8000 per month. Then he arranged all other necessary equipments to start the book shop business. His capital consists of 100000 cash, 100000 worthy furniture and equipments and 100000 opening inventory. He began to deal with book and stationary. By dint of his gained knowledge and experience he was running his business sucessfully till 2005. Even he had a profit bonanza in the year of 2004. In mid time he added many things in his business. He kept a salesman for the selling purpose. Expand the profit amount. 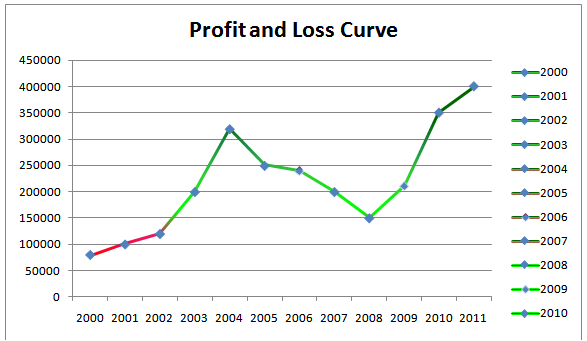 But after profit bonanza of 2004 the rate of profit gradually decreased. Even the 1st 4 month of 2006 financial year he went through a loss. To find the reason of this loss, he compared his business and accounts with his other neighboring book shop. He found problems. He has no perfect future investment scopes analysis and planning. He lacks knowledge about his business’s selling targets against the cost of the products to be sold. And that is why, in the competition in the market he is failing to fulfill his target. In 2007, he decided to expand his business by opening a photocopy sector in his shop as a side income. For buying this photocopy machine he loans Tk 120000 from a financial institution. After starting the photocopy section he managed to overcome the loss but it was too little to satisfy him. To consult about his business situation he called up us and took the responsibility to analyze his financial situation and find out the problems and weaknesses of his business and the way to solve them. Here we have estimated the recent year’s (2010) and the next year’s (2011) target profit after the success of the analysis. The described case of Mr. Islam, a book shop owner, we came to learn that, he is facing problem on future planning and judging the profitability of the business operation. To solve the problem, he mainly needs mathematical application in his job and financial analysis. As, we know he is not well-educated, he does not know mathematical application in judging profitability of business. He lacks knowledge about his business’s selling targets against the cost of the products to be sold. For this, he needs break even analysis. Using the analysis he will be acknowledged of the point of selling where the cost and revenue will be equal and after that sale, any additional sale will make profit. This analysis will help him to set more reliable target of sales. He will also be able to extend future purchase and sale. Before break even analysis Mr. Islam needs to calculate his cost of goods perfectly. An important part of cost and expenditure is the yearly depreciation of the furniture and the equipment used in the business. As Mr. Islam lacks education he has little knowledge on use of mathematics in valuation of depreciation. To find depreciated value easily and correctly, arithmetic progression (AP) is applied in the solution of the case. It relives a businessman from just assuming depreciation without proper knowledge. 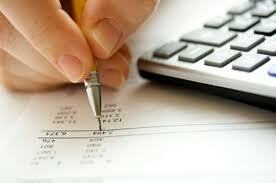 The use of log in calculation eases the complicated tasks in business accounting. The presentation of logarithm in calculating compound interest of loan reveals its utility. These described terms are presented in the solution of the case of Mr. Islam on application of mathematics in business. Mr. Islam has bought a photocopier machine for his business by taking loan from a finance company. To find out the depreciated value and other things we used AP in this case study. An Arithmetic Progression (AP) is a sequence whose term increase or decrease by a constant number calls the common difference. A series in AP does become an additive series in which the common difference can be found by subtracting each term from the preceding one. In this case, the cost of the machine is 1, 20,000. The machine can produce 12, 00,000 copies. In the first year he printed 50000 copies which cost (50000×120000/1200000) or Tk. 5000. And it has been found that every year additional 10000 copies are printed which cost additional Tk. 1000. So, depreciation of photocopier is increasing every year by Tk. 1000. In this way he can find depreciation of the equipment. So the service life of the photocopier is 11.63 years. Someone can easily determine the future amount. We can easily get any far future amount by calculating the nth term of the AP series. By calculating nth term we can also get how many installment we should pay in the payable money amount. Mr. Islam bought a photocopier on July1, 2006 cost Tk.120000 by borrowing the amount from a financial company. Here we have used logarithm for calculating the interest. The logarithm of a number to a given base is the index or the power to which the base must be raised to produce the number. So, this loan will be paid after 5 years. Interest rate for this loan is 10% and interest will be compounded quarterly but interest will be paid yearly. It saves our valuable time by calculating easily. Break Even Point is a way for a manager to make sure he or she is making a profit is to first analyze the circumstances necessary to Break Even. Break Even means neither makes a profit nor suffer a loss. Then the manager can develop a plan to do better than break even. Break Even simply means that revenues must equal costs. As our book house is not a production based business we should consider break-even point at the view of a company that purchases product and sells them at a price that is presumably above the cost. For example our book house cost a book 150 tk but it retail price would be 200 tk. Therefore, the Markup is 50 tk. From the managers view point the dollar amounts of markup on numerous individual items which will vary widely are very useful in planning and controlling operations what is useful is the overall markup percentage on all items. For comparability in different items, markup is viewed in one of the two ways, a function of the cost or a function of the retail price. In our book house we use the concept of Margin. Here our average cost of books is 130 and the retail price is 200. To find out the Break-even Point we need the Cost function, Revenue function and the Profit Function. Let ‘S’ is the quantity of the product. C(S) = FC. + VC. Here FC. is Fixed Cost and VC. is Variable Cost. Here P is the Price or retail price. In break-even point profit will be 0. So S= 3, 11, 430 is the break-even sales taka volume. So he should sell tk.311430 to get breakeven point. So to earn profit he needs to sale more than tk.311430 of products. Break -Even point helps to measure the margin or mark up of the business. We can easily calculate the target profit. We can take initiative against facing loss. Applications of mathematics in business give a new to calculating business factors easily. The mathematics concepts help business owner to make short term and long term planning and make decisions. We can get an overall view of future time in business. Mathematics functions and formulas save our time and make us more efficient and effective. By preparing this report about mathematics applications in a case study of Mr. Islam, we can broaden our outlook about the applications of mathematics. We all want express our gratitude to our course teacher for all kinds of help and stay beside in our problems. It become a great team work and helps all of us to gain the knowledge about the applications of mathematics in business.